@bluwavz wrote: It could've been worse. He could've said Ben has the appeal of a dirt sandwich like he said about Chris Soules last year. Brad is a witty and interesting and complex guy so I can see where he was coming from in regards to what he said about CS (he was on the money!) and while Brad could have said something about Ben but he didn't. So I don't think Brad was talking about Ben as a person per se, just the season (and, to be fair quite a lot of other viewers have said) may be boring. I don't think it will be (not now) but I can understand why some may see it that way considering how Nick is seen as the opposite of this and by Brad's tweet he seems to be one of those people. I just saw it as different strokes for different folks. And it seems like Brad is one of the folks that likes Nick and would have preferred him for TB. You're right, that would be worse. It wasn't all that bad of a comment to me nor does it really matter. It's just him stating his opinion. @umngirl wrote: Brad has a history of putting his foot in his mouth when it comes to opinions about the US Bachelors and the final couples. It'd probably be better if he thought a little before speaking/tweeting. The dude has zero room to criticize. He is no expert and doesn't have a success story. I like Brad and he made his season SO interesting and I thank him for that. People can say what ever they like about him but he was honest to the women and IMO made a GREAT BACHELOR, if he was not interested in them he sent them home!!! Well, Brad certainly can have his own opinion but he could have said it in a nicer way instead of "shits"! Most of TBs are boring anyway, but the drama created by the contestants and, of course...the Live Tweetings can change a boring show into a comedy! And I lovvvve funny, snarky live tweets--the highlight of the show. There have been a whole lot worse, things said about leads by many others associated with other franchises, who have zero success stories and chased famed till the cows came home. Brad was one of the most sincere bachelors in all of the franchises that I've ever watched. No fakeness about him what so ever. He comes from a very prominent family and is a very humble guy. He works hard, and does well for himself without promoting himself and using his Bach Canada status. There have been a ton of negative tweets regarding Ben being the bachelor, and how boring it will be, and how they won't watch. We've had 5 accounts deleted since yesterday because they weren't happy with the announcement. Brad voiced his opinion just like millions do every day on twitter. Is everyone suppose to love the new bachelor? 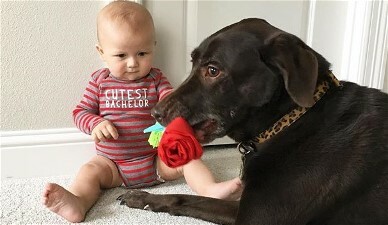 Congratulations Ben on being the next #Bachelor ...again..another season ....no one will give two shits about!! It's just so rich. The only Bachelor Brad most people here probably remember watching is Brad Womack. How many more shits do we think people give about Ben vs Brad's own season? Also he can tweet whatever he wants, but I (and others too I'm assuming) certainly judge these people partly based on how they conduct themselves on SM. Brad needs a filter. Exactly! It'd be nicer if he didn't congratulate Ben and then ..."two shits" in the same sentence! Ok, I'm done with this. Good nite. The biggest thing I've learned from this thread is that we're allowed to say "shits" on this forum. Crazy! It is ironic that Brad chose to insult Ben by talking about how unmemorable he'll be, when Ben already has 6x the followers he does. It was just like when he talked about not thinking that Sean/Cat would make it, when he and Bianka themselves ended up not making it. Just comes off a little lacking in self-awareness. Brad is so harmless. I don't actually think he's being serious as we might think he's being, .